Kiasmos had played Iceland Airwaves the night before, delivering a sumptuous set of techno at Harpa Silfurberg. Their minimalist beats echoed around the room, compelling bodies to move whilst lights and a huge screen hung behind them added colour and silhouetting the duo as they played. 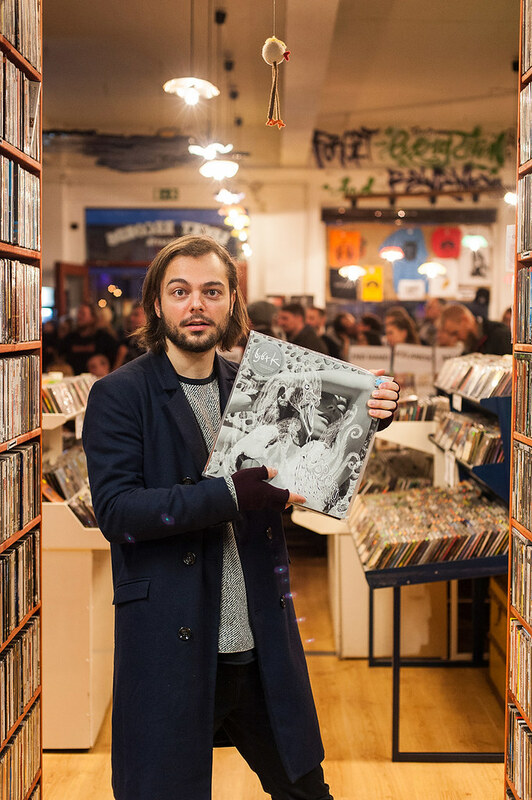 We'd agreed to meet at Lucky Records, Iceland's largest record store on the Sunday of Iceland Airwaves. I should have known from the start that this was going to be a bad idea. Whilst Lucky had been on my list of spots to visit in the city, it was also operating as an off-venue for the festival, playing host to the post-punk of Kvöl and Börn, and the stoner rock of Church House Creepers on that particular day. I'd sent word that we might need a hasty change of plan, but in the meantime this is what we were going with. I arrived early, pushing my way through an assembled crowd to the back of the store, which was quieter (both in terms of volume and number of people). Fifteen minutes later Janus Rasmussen of Kiasmos entered. I didn't spot him at first, only noticing him as he left the store a couple of minutes later to call me. With Börn having just taken to the stage, we decided to take the interview next door to a nondescript cafe. "I don't go all that often," Rasmussen replied when I ask him why he chose to meet at Lucky. 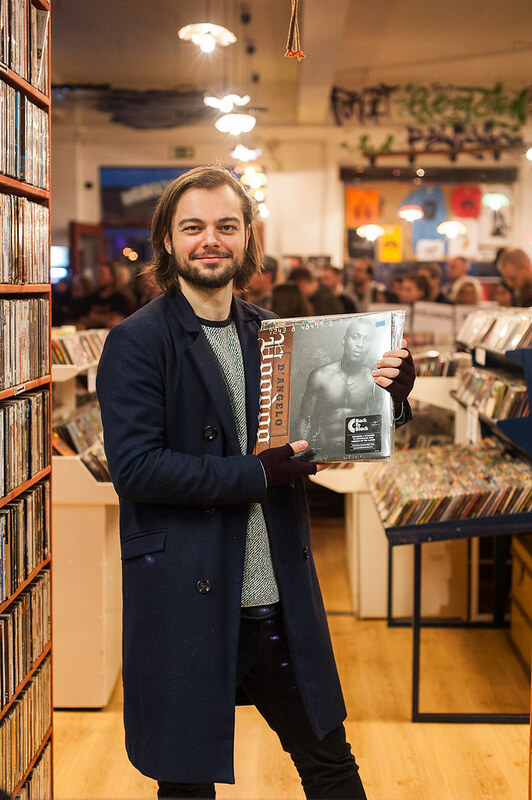 As it turns out it was chosen out of convenience - it's one of only a few record shops in the city - and it's impressive collection, some 40,000 items I'm told. "We worked with a visual artist called Mani M. Sigfússon," Rasmussen explained. Sigfússon had previously worked with Ólafur Arnalds (the other half of Kiasmos) on another project so they trusted him completely to create visuals to match their live performances. "He listened to the music, came up with some ideas and basically just gave us two or three videos straight away. He asked us "is this the sort of thing?" and we loved it." Sigfússon's work combines photography with 3D effects, which are then manipulated, sometimes by slowing down the visuals or mirroring them. "It's all real footage, he just kind of takes it apart and puts it back together." It made for a striking performance, though Rasmussen was quick to credit that to Sigfússon and the screen at Harpa. I'd argue that was only part of it, the key element was the band's dedication to deliver a special performance to their home crowd. They even managed to fly in their regular lighting engineer especially for the show. As for the sound, for Rasmussen, this was the easiest part. "We mixed [the music for the live show] in the studio really well," he explained, "we spent a lot of time getting the sound [right] because we don't tour with a sound engineer, so we just make it sound as good as possible. When we get to the venue, normally it's just a little tweak on the master EQ and that's all we do - it works every time! We're really proud of it!" That combined with a huge new PA system, and the spatial characteristics at Harpa meant that conditions were just right for a perfect show. Rasmussen and Arnalds are old friends, having met when Rasmussen was touring with Bloodgroup and Arnalds was working as a sound engineer at Organ. The now defunct Reykjavík venue was a regular spot for Bloodgroup, with Arnalds mixing for the band several times over the years. When it came time to go on tour in support of a new record the band took Arnalds along as their sound engineer and it was here that the duo's friendship began. "We discovered that we [both] really liked electronic music, so after that we started meeting and writing music and drinking gin and tonic. It was really just us getting drunk and making beats," Rasmussen said, laughing at the memory. "We did that for a long time - we became friends that way. I don't even know why we kept doing it." The duo have been working together under the Kiasmos name since at least 2009, but by Rasmussen's own admission, "It was never a plan to do anything really serious." Aside from releasing a split 12" with Rival Consoles in 2009 the duo also wrote a "couple of pop tracks" which they gave to another artist. Back then they both saw Kiasmos as an umbrella name for an ongoing collaboration between the two of them, nothing more. "Maybe that's changed now - since the album came out. Maybe we have to be a bit more like 'this is Kiasmos'." The impetus for recording a full length record came from the duo's desire to make an album which they felt made sense as a whole piece. "It was really exciting the idea of making a fully electronic album that could tell a story, because we felt like there was not a lot of electronic music that did that - it's just singles and club songs. We wanted to have something that you could listen to and would make sense. That was important to us." Of course what works on a record doesn't necessarily translate to a live environment where band's are at the mercy of stage times and, particularly at festivals, need to make an impact on the audience early on if they want to hold their attention for the duration. "Last night we had only a forty minute slot, which is super awkward for us - we need a lot longer to build it up," Rasmussen explained. "We're so used to building it up and yesterday in song three we were like, 'this is strange, we're not supposed to be at this point already'. So to us - I don't know if other people felt it - but we definitely felt like we needed more time." When we met, Kiasmos were gearing up for the release of a new EP. Swept, which was released on 20th November, was the duo's first proper release since their debut record came out in 2014. "We released 'Swept' earlier this year as a single," Rasmussen said, "but never on any format - it was just digital. 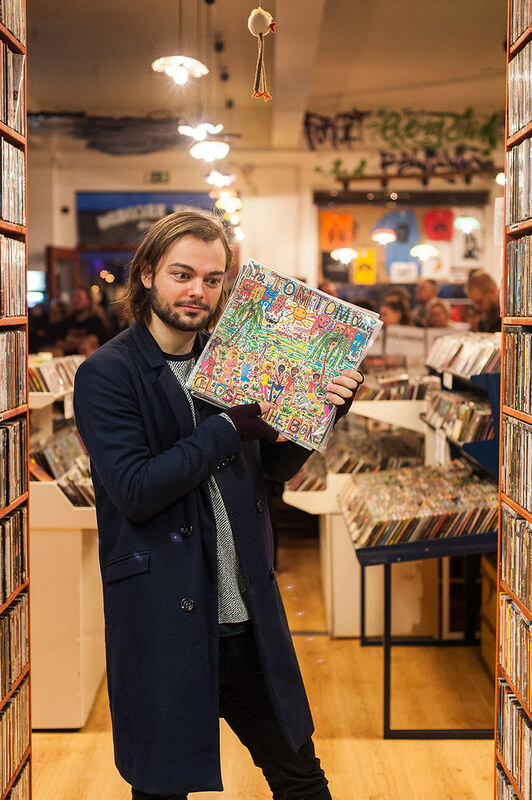 We wanted to put it on vinyl and write some more songs." Since then those extra tracks they've written have become part of the touring set list as well. The single 'Swept' was recorded in Iceland in the same manner as Kiasmos. "The rest of the tracks, we wrote in Berlin in the Summer." Arnalds had been living out there for two months touring a separate project. "I just [went] out there for two weeks, we booked a studio and wrote two more songs there. That was definitely different - we'd never done that before." Being away from home and in un-familiar surroundings had a big influence on the tracks that came out of those two weeks. "They had different equipment and a recording room with a live drum kit," Rasmussen responded when asked what differences there were in Berlin. Arnalds used to be a drummer, so when the two of them entered the studio he'd start laying down percussion, whilst Rasmussen would select sections to loop. Previously Kiasmos had relied on sampled percussion, so to utilise live drum loops for the EP helped to give a new energy to recording. There were some similarities though. "Usually [we start with] some kind of beat - something that inspires us - and then we start writing some lines over it or synths." Rasmussen though is quick to point out that whilst this does seem to be the "usual" way no two tracks are written the same way. "Sometimes its just an ambient loop and then we think 'let's make a beat'. It's difficult with this sort of music because there's no end. There's no chorus or verse, so it's like - you don't actually know where in the song you're beginning. You're just writing [moments] that are supposed to be on some kind of timeline." 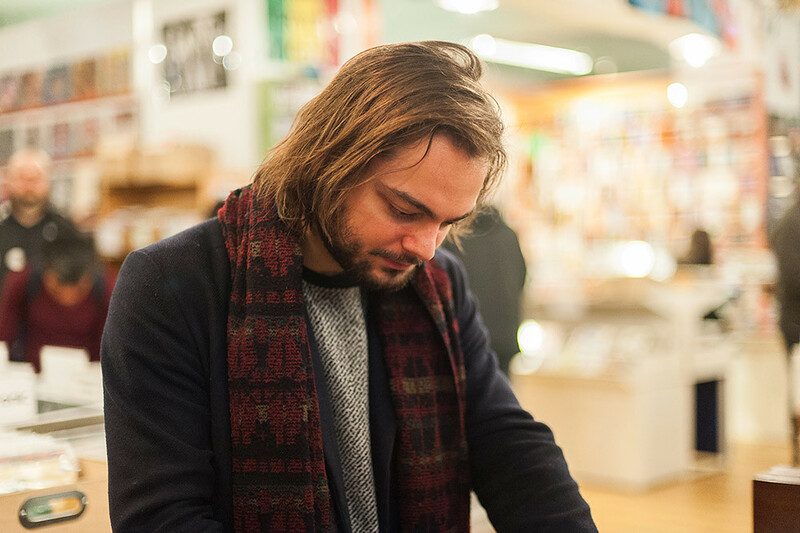 Originally from the Faroe Islands, Rasmussen now lives in Reykjavík, having been drawn there by the music. "[The Faroe Islands] are just way too small to make a living being a musician there - but here it's a comfortable size," he explained. "It's really easy to reach out and work with the right people - they're just there. [It means] you can do a lot of stuff in a really short amount of time. In London there's so much chaos and so many things happening at the same time, it takes opportunities from you. Here, I feel like you have more of a shot of doing something big, or something that you love." 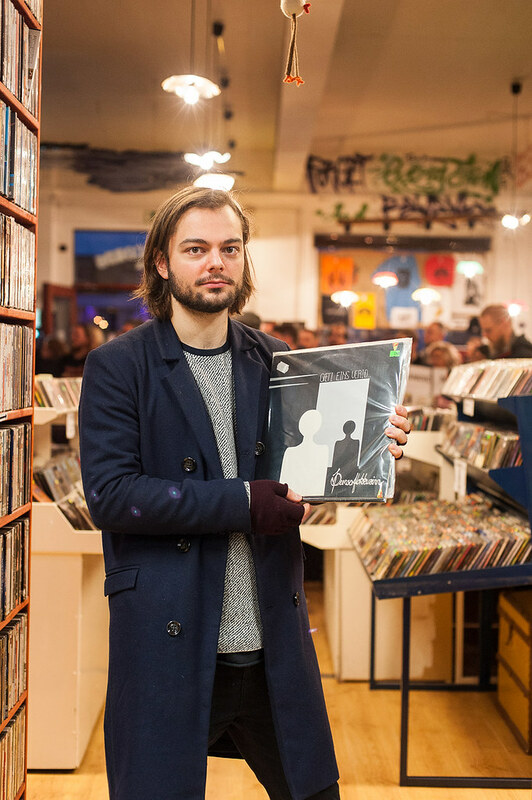 This even has an influence on Iceland Airwaves, a festival which Rasmussen regularly attends (2015 was his ninth year in a row). "Bands have a bigger chance of getting themselves noticed here than at festivals abroad. Because it's small, but big enough to have an impact. A lot of bands kind of blew up from playing this festival." Compared to a festival like SXSW, Rasmussen says it's much easier for bands to speak to people who will help them with their careers at Airwaves. "'I've played South by South-West, it's way too big. You just drown in the chaos." Þursaflokkurinn - Gæti Eins Verið...: "One of the most important Icelandic records." D'Angelo - Voodoo: "A big influence on the drum sounds of Kiasmos." Tom Tom Club - Close To The Bone: "It's basically Talking Heads without David Byrne." Björk - Vespertine: No reason given. No reason needed.